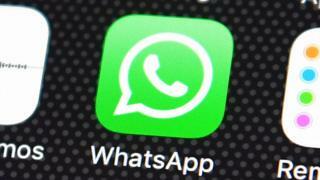 WhatsApp users around the world were unable to use the messaging service for several hours on Wednesday. Reports that there were problems with the app, which has more than 1.2 billion users globally, first began to appear at about 20:00 GMT. WhatsApp said in a brief statement that it was "aware of the issue and working to fix it as soon as possible". By about 22:30 GMT, most users were reporting that they were able to send and receive messages again. But according to both the DownDetector and Outage Report websites, some people have continued to have problems. There has been no comment from WhatsApp on what caused the issue, nor how widespread it was. A second statement from the company, released after the service had been restored, said: "Earlier today, WhatsApp users in all parts of the world were unable to access WhatsApp for a few hours. "We have now fixed the issue and apologise for the inconvenience." Dave Anderson, a digital experience expert at Dynatrace, told the BBC he believed it was likely that an update to the app had caused the problem. "WhatsApp send a new version of the app to the stores every few days, and they're likely to be pushing code changes every hour to get ready for that," he said. "Each development comes with a risk. "It only takes one line of code and the app will fail. "Banks might only issue a new version of their apps once a quarter because they can't afford to take that risk." WhatsApp, he said, would be under much greater pressure to continually update and add new features. Earlier on Wednesday, Facebook chief executive Mark Zuckerberg had said that a new feature in the app, WhatsApp Status, had gained 175 million users since its launch in February. The feature works in a similar way to Snapchat and Instagram's Stories, allowing users to create a post containing words, images or video, that disappears after 24 hours. Snapchat, which has been in existence since September 2011, is thought to have about 160 million users. Instagram announced last month that about 200 million people used its Stories feature every day.